Cooper Webb and Eli Tomac both took to the track for some warm-up laps on press day for the 2019 Houston Supercross. The track wasn’t quite complete, lacking the whoop sections that could spell the difference between winning and losing. Still, each rider has a distinctive style. The Triple Crown format means there are no heats, just back to back to back main events. 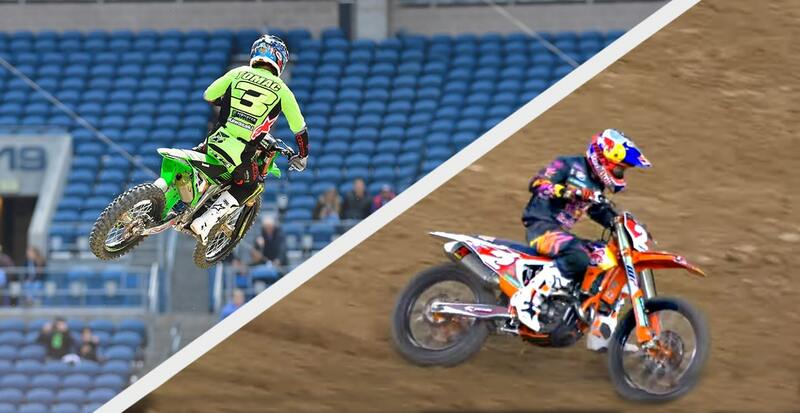 Both of these riders excell at that format, so it should be a great night of racing. The show starts at 8:00 eastern time, and live coverage will take place here at www.dirtbikemaghazine.com. Photography by Travis Fant.